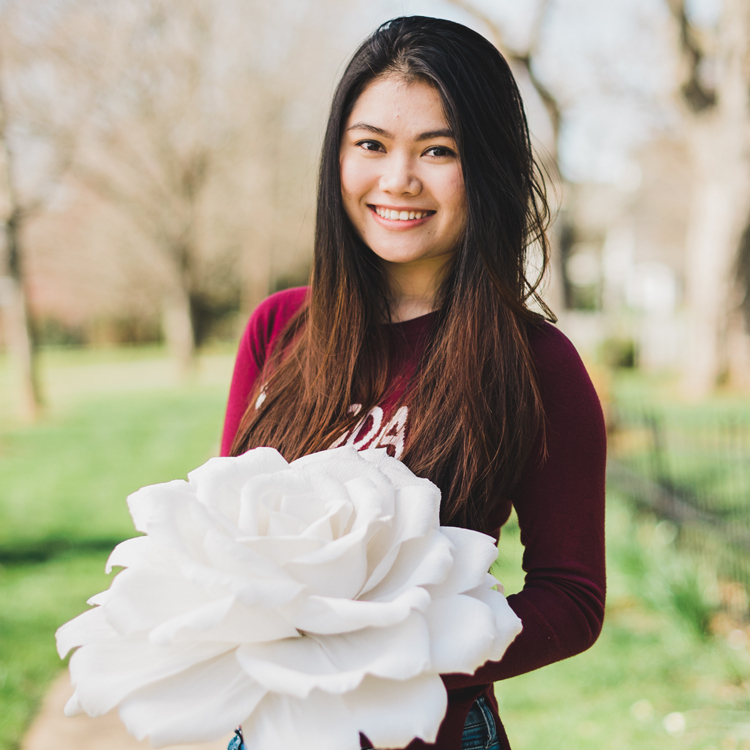 Meet Thao Hoang of Paper Petals HSV — yet another one of our favorite paper floral creators! We were so excited to have an opportunity to speak with her. Her unique vision is inspiring… she is a true artist of her craft. Stay tuned for more artist interviews to come! LG: Where did you learn to make paper flowers? TH: I started out learning how to make paper flowers from watching videos on YouTube. Those videos helped me in becoming familiar with basic flower making techniques. As I got more familiar with the basic techniques, I began to explore my own. I studied and traced flower petals from real flowers and observed many close up pictures of flowers and tried to redesign my flowers in my own way. TH: I love everything about making paper flowers. The whole process from picking out the right color to cutting and shaping the flower… every step is fun to do because I know at the end I will have a replica of nature that will last forever. Not only that — the process is super therapeutic for me and I usually get lost track of time when I’m making flowers. What I really enjoy the most is seeing peoples’ reactions when finding out that my flowers are made of paper. LG: Tell me about the first paper flowers you made? TH: The first crepe paper flowers I made were a bundle of white roses that had Lindor chocolate truffles in the center. 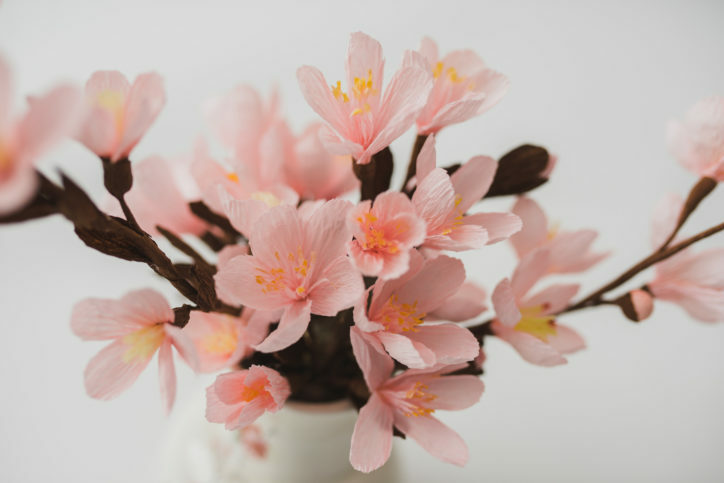 The chocolates were a nice treat, but looking back and comparing the actual flower shapes and forms to what I make now, I can’t believe I made flowers like that! Always keep striving to improve! TH: For me, the greatest challenge is being patient and realizing that it is a continual process. 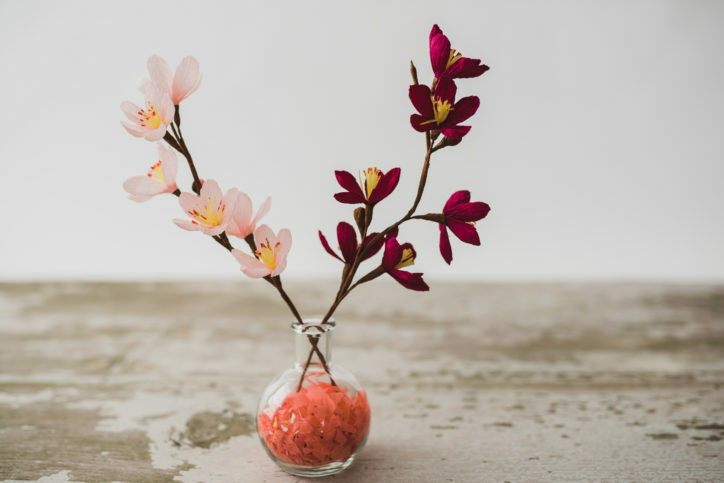 Even natural flowers need time to grow and the same goes for making paper flowers. Some flowers are more complicated and may take a longer time to master than others. The first one I make may not be as good as I want it to be, but I need to keep reminding myself that if I keep practicing and experimenting, I will get the shape and form I desire. TH: My design inspiration comes mostly from nature. 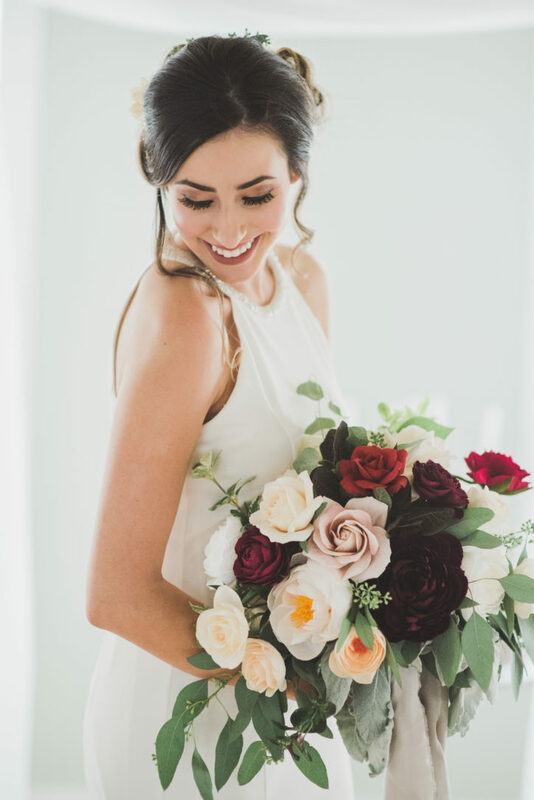 I love taking trips to the florist so I can get my hands on real flowers! I like to pull flowers apart and study their shapes. This helps me make my own petal templates and also see the little details in each flower. 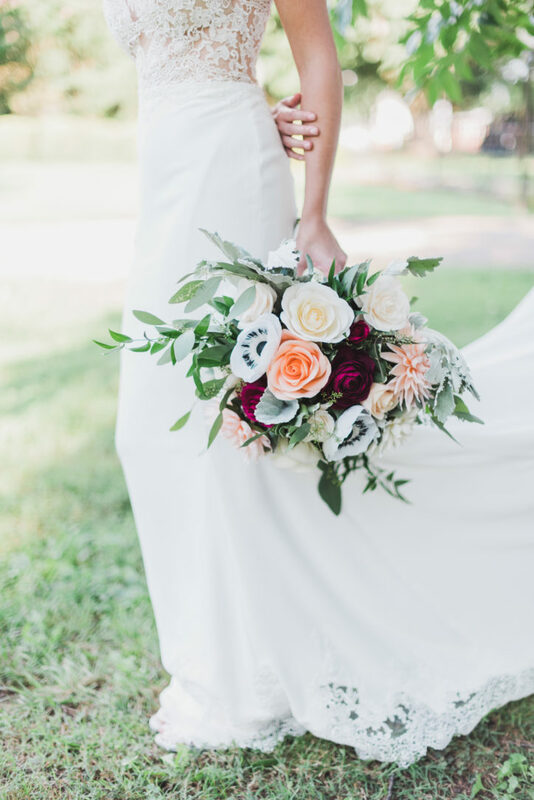 Also, since I do a lot of wedding arrangements, I am inspired by other wedding florists. 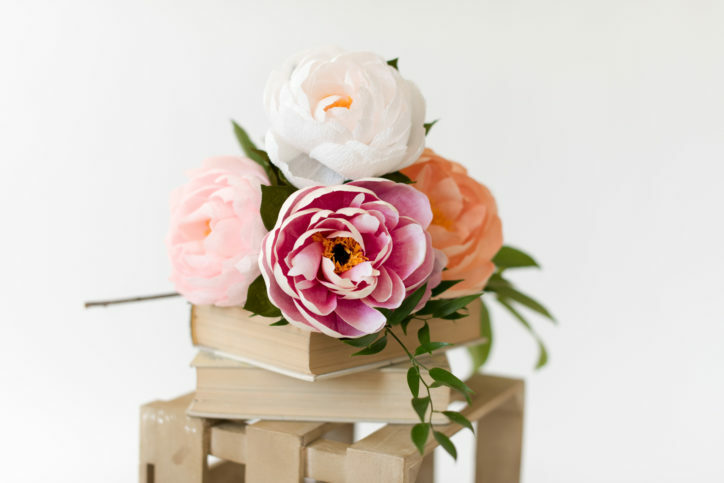 Observing their floral designs helps me learn and I apply that to my own paper flower arrangements. TH: I love to use a variety of crepe paper depending on the type of flower I’m making. For example, when making a dahlia, I prefer using German doublette crepe paper. But when I make a David Austin rose, I incorporate both German crepe paper and extra fine crepe paper from Lia Griffith’s paper line. The end result gives a soft, fluffy, and realistic looking petal. TH: There are so many resources online and books where you can learn how to make paper flowers. 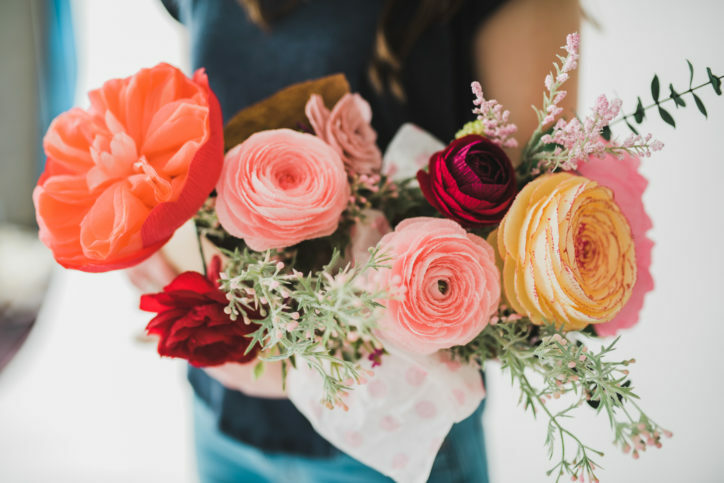 Start from there, learn the basic techniques, and work your way into different kinds of flowers. It can be difficult in the beginning, but don’t give up and keep at it! 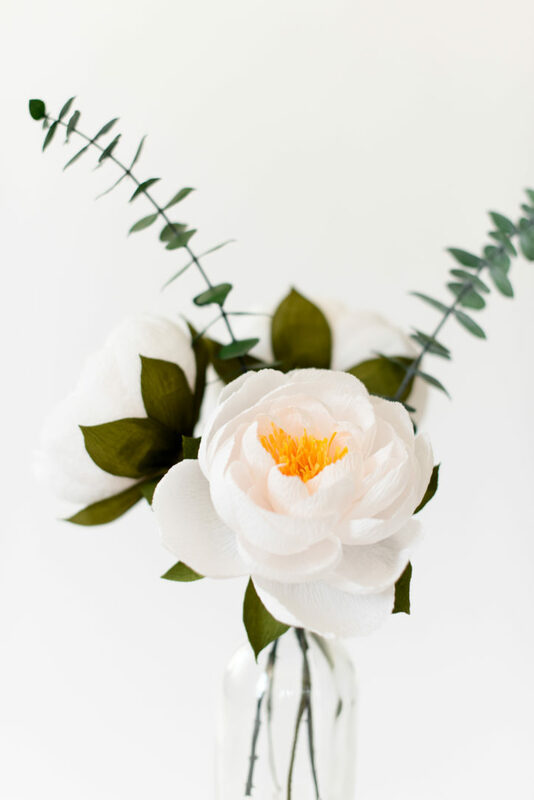 LG: What are your go-to tools when it comes to paper flower making? TH: I always have a chopstick for curling the petals on me. I am very picky about what scissors I use, so I must have my good working scissors. I also use both tacky glue and hot glue when I’m working on a project. And most importantly, crepe paper is a must! 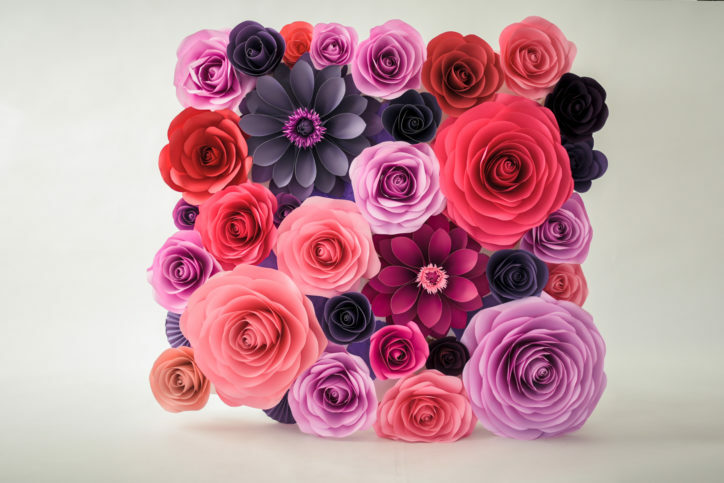 LG: Do you have a paper flower making top tip you could share? 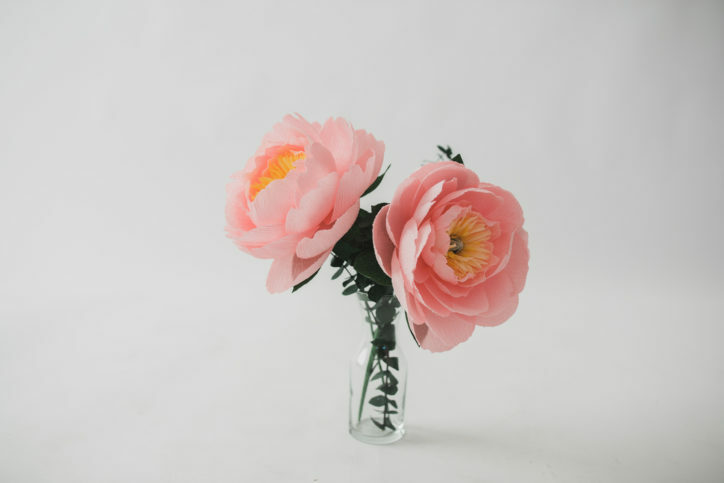 TH: Challenge yourself to continually keep perfecting your flowers! But don’t get stuck on only one flower and one variant, explore many varieties. Make with your hands, but I think most importantly, observe with your eyes. 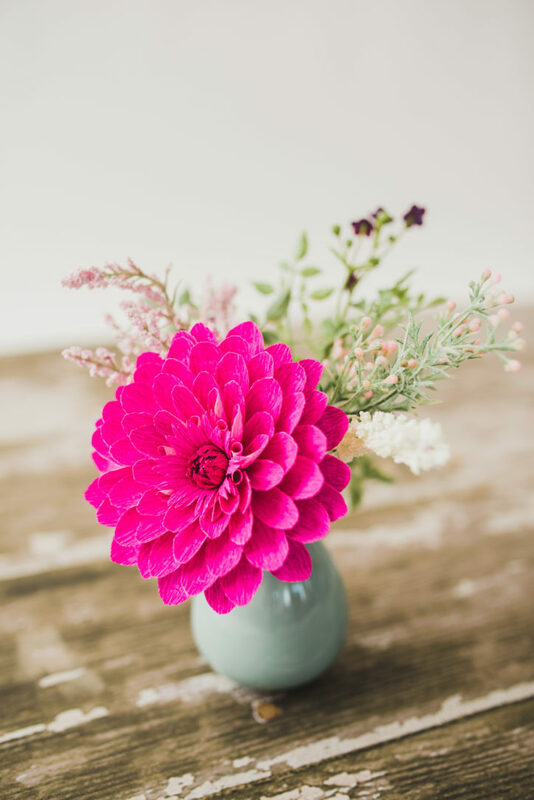 Studying from real flowers will help you understand the flower’s anatomy and this will reflect in your flower creations. Check out some of Thao’s creations below. Join her on Instagram and browse her website here. These are the most beautiful and real flowers I’ve seen and I’ve seen a lot!